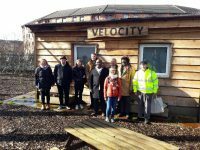 Another week and another update on what has been happening at the college. 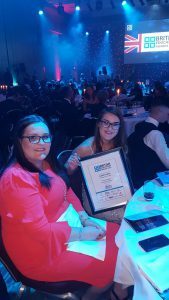 Read on to find out about awards won, visits from various companies, a departmental launch and a few upcoming events. 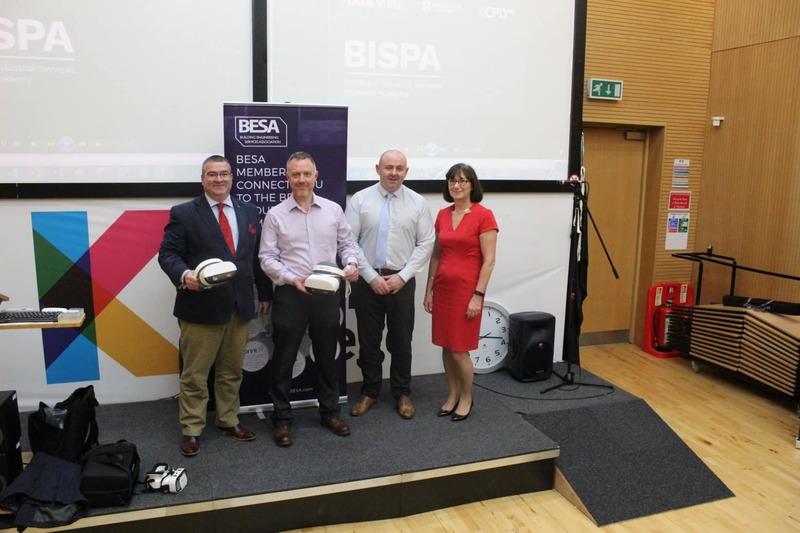 The College was delighted to host events for our partner, BESA, at the Springburn Campus this week. The afternoon session, delivered by Dr Chris Owen of Tata Steel, covered the innovative use of Virtual Reality in pipework specification and installation. Needless to say, he spoke to a packed lecture theatre and students were engaged right to the end. The College's thanks go to Iain McCaskey and colleagues from BESA and to Dr Owen - we look forward to welcoming them back. Hard Work in STEM Pays Off for College! Glasgow Kelvin College is very pleased to learn that, together with its sister colleges, Glasgow Clyde and City of Glasgow, it has achieved the STEM Assured Standard and Award. 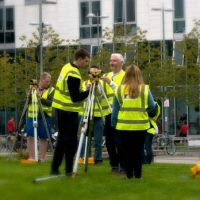 The Accreditation Panel of experts from industry and HE used the STEM Assured certification framework, examining the College’s strategic plans in relation to STEM provision, the way in which this linked disciplines, the partnerships, curriculum development, innovation and the delivery ensuring benefits for students, employers and the wider economy. 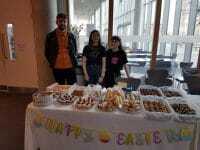 Support for learning students are given the five star treatment by the hospitality students in EEC, as part of their improving mental health project. Tres posh! Pinkies at the ready!!! 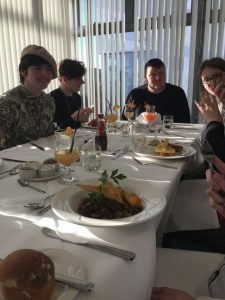 The hospitality students all really enjoyed the experience too. 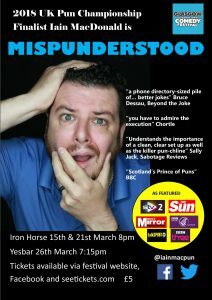 Kelvin College’s own Iain MacDonald will be performing in the upcoming Glasgow International Comedy Festival this March! 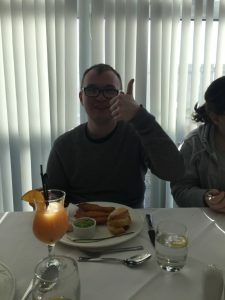 Iain, a one-liner specialist and a finalist at last year’s prestigious UK Pun Championships, has been a regular on the Scottish comedy circuit for 10 years now as well as contributing to BBC’s ‘Breaking the News’ and formerly ‘Off The Ball’ radio programmes. His Twitter @iainmacpun serves up a new joke every single day that keeps his followers more than amused! 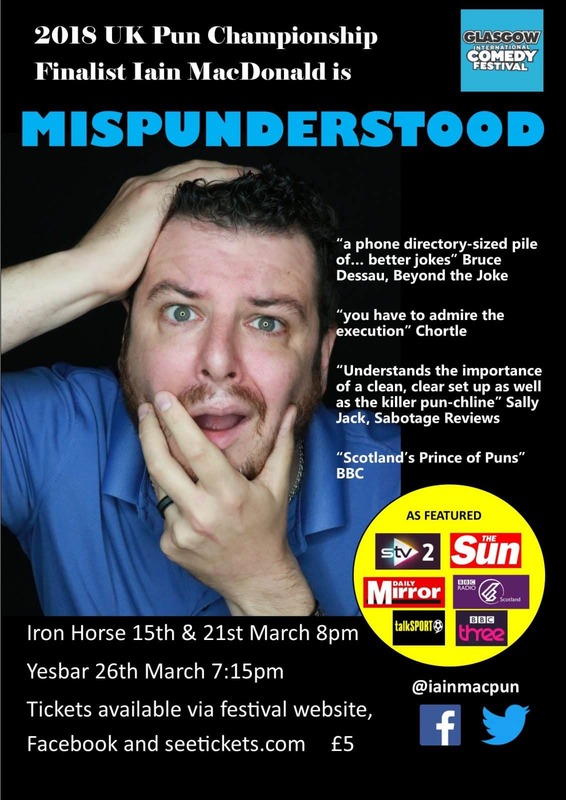 He is putting on his own show, Mispunderstood, on Friday 15th and Thursday 21st March at 8pm in the Iron Horse pub on West Nile Street and Tuesday 26th March at 7:15 pm at Yesbar near Central Station. Iain sold out at last year’s festival and is putting on 3 performances this time to make sure everyone has a chance to see his unique one liner show that has seen him featured on BBC Radio, STV and The Sun newspaper. BBC’s Johnny Beattie has crowned him ‘Scotland’s Prince of Puns’ no less! Tickets are still available via his comedian page on Facebook @iainmacpun, seetickets.com and the Glasgow Comedy Festival website and are only £5. Pay on the door will also be available but best get in quick before they sell out like last year! 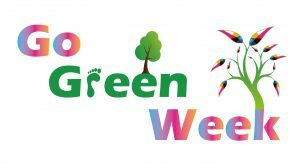 As part of Go Green Week, Glasgow Kelvin College will be running a series of events from Wednesday 13th February to Friday 15th February. All of the events and activities are free and everyone is welcome! If you would like to get further information, please contact Anastasios Markopoulos or Sandra Lavergne. 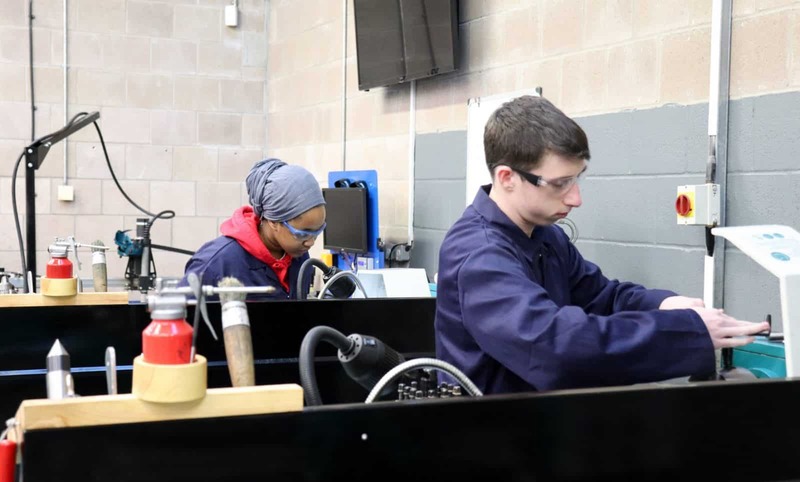 Former HND Mechanical Engineering student, Lewis Campbell, has been lauded for his excellence and innovation in the national Autocar-Courland Next Generation Award competition. Completing his HND in June 2018, Lewis progressed to University of Glasgow and has stayed in touch with his Kelvin tutors to keep them informed of the prestigious award which recognises his work in developing an anti-cloning device for car engines. Our congratulations go to Lewis for his innovative talents and obviously to all the staff who have supported him in his successful learning journey! The College is delighted to announce the launch of the exciting, new collaborative project, ‘The Fashion Collective’. The project is the brainchild of the innovative staff and students in the Fashion Design and Manufacture department and brings together all the skills and expertise which relate to the fashion industry, building a cross-college approach to creativity, entrepreneurship and advances in the marketplace. Alongside the Design and Manufacture course, students can now study for an HND in Fashion Business which teaches a variety of subject areas including buying, range planning, fashion forecasting and Journalism. A close relationship with Glasgow Caledonian University ensures that there is a linked progression path to their fashion business degree course. 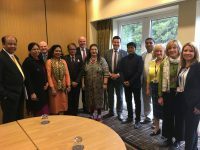 There’s also the opportunity to gain transnational experience through Glasgow Kelvin’s international partnerships. See The Fashion Collective webpage. 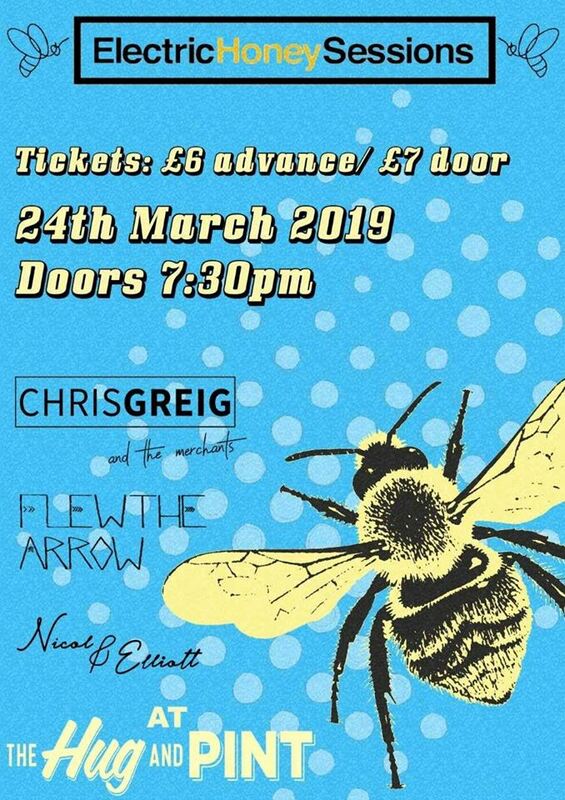 Chris Greig & The Merchants are an Indie-Rock/Pop 4 piece based in Glasgow. Their energetic live shows are comfortably accompanied by the catchy hooks and powerful chorus' of their music. The band have supported the likes of brownbear, Indigo Velvet, Vistas, Nick J.D. Hodgson (former Kaiser Chiefs), and Ded Rabbit. After a very successful 2018, which included a sold out mini-tour of Scotland, and the release of their instant hit track 'Talking Aloud', the band look ahead to start an incredible 2019, with a huge show at the legendary King Tuts Wah Wah Hut supporting long time friends Indigo Velvet. 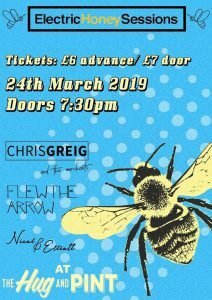 Flew The Arrow is a fast-rising contemporary folk artist from the small town of Ayr on the West Coast of Scotland. Since residing in Glasgow the last while and building his skills and reputation as a songwriter and acoustic guitarist, he is now part of the team at 23rd Precinct Music Publishing and has also signed to Electric Honey records, now working towards releasing new material over the coming months before a full EP release this spring time. A musical collaboration of chance, Nicol & Elliott formed as a result of Andrew (Nicol - Guitar and vocals) asking Rachel (Elliott - Fiddle and vocals) to accompany him for a one-off show at Celtic Connection in January 2018. Known to each other through common connections within the Glasgow music scene, Nicol & Elliott began rehearsing with 2 months until the show. It soon became apparent that a songwriting collaboration was occurring, leading Andrew's more indie influenced songwriting towards more folky ground.